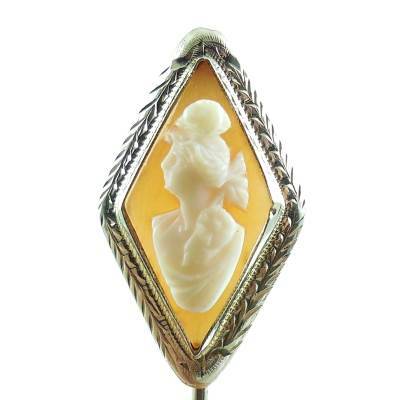 This is a very detailed antique late Victorian to early Edwardian carved shell cameo and sterling silver lingerie pin with a twisted gold wrap. 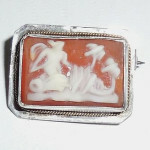 It has been jeweler tested and is Guaranteed to be solid sterling silver and genuine antique. The gold wrap is either low grade European gold or gold filled. 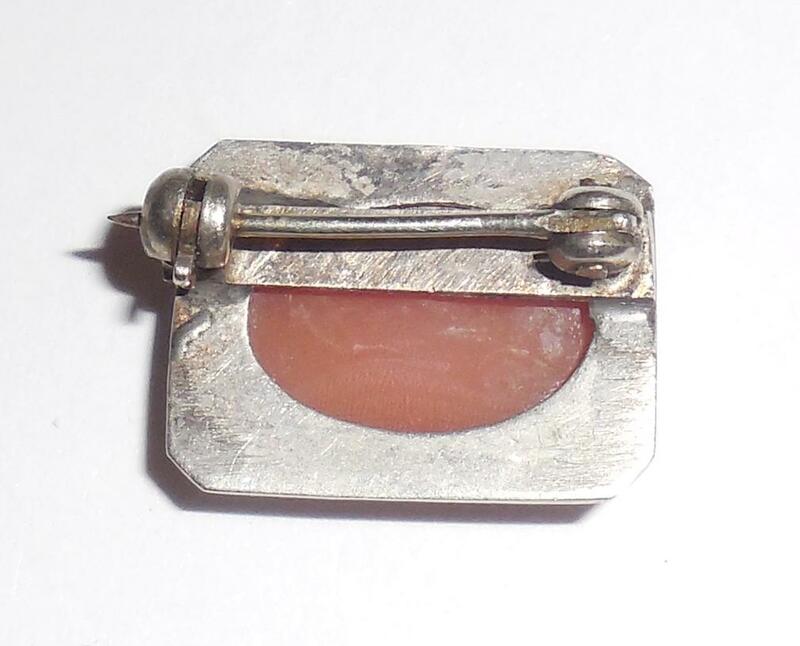 This pin may have had a antique locking clasp upgrade in the 1930s. You can see the tiny hand applied old rivets in the back that are holding the clasp to the back of the pin which likely had an early c clasp without a lock. It is all hand made, hand carved and hand cut with the gold wrap being separately hand applied, all indicative of its 1890s to 1920 age. Excellent overall condition. A little minor edge wear on the back. No cracks or chips or flakes or breaks. No damage or repair. Unusual and highly detailed with desert motif of palm trees, cacti and a Greek god controlling a chariot. 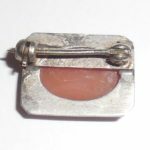 This is a lovely antique lingerie pin for your antique jewelry or antique clothing accessories collection. This kind of detail is very Hard to find in this small size, 11/16″ by 1/2″. Nice estate find. Would also look beautiful on an antique French doll. 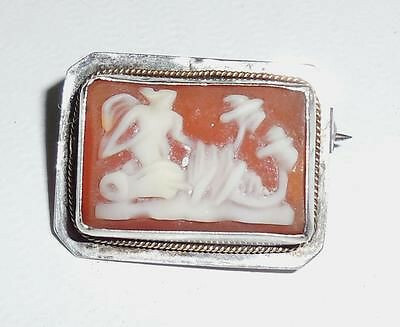 Antique Edwardian Sterling Silver Gold Chariot Cameo Lingerie Pin S size. 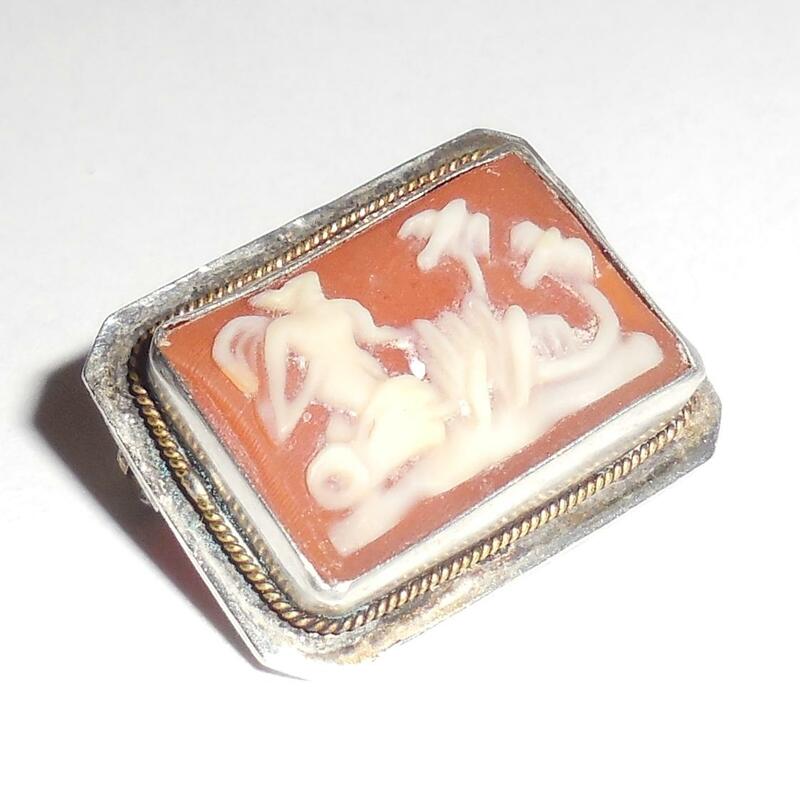 For its tiny size this is a beautiful highly detailed antique late Victorian to early Edwardian carved natural shell cameo lingerie pin brooch. Made of sterling silver with a twisted gold wrap it has been jeweler tested and Guaranteed to be solid sterling silver as well as genuine antique. The gold wrap is either low grade European gold or gold filled. 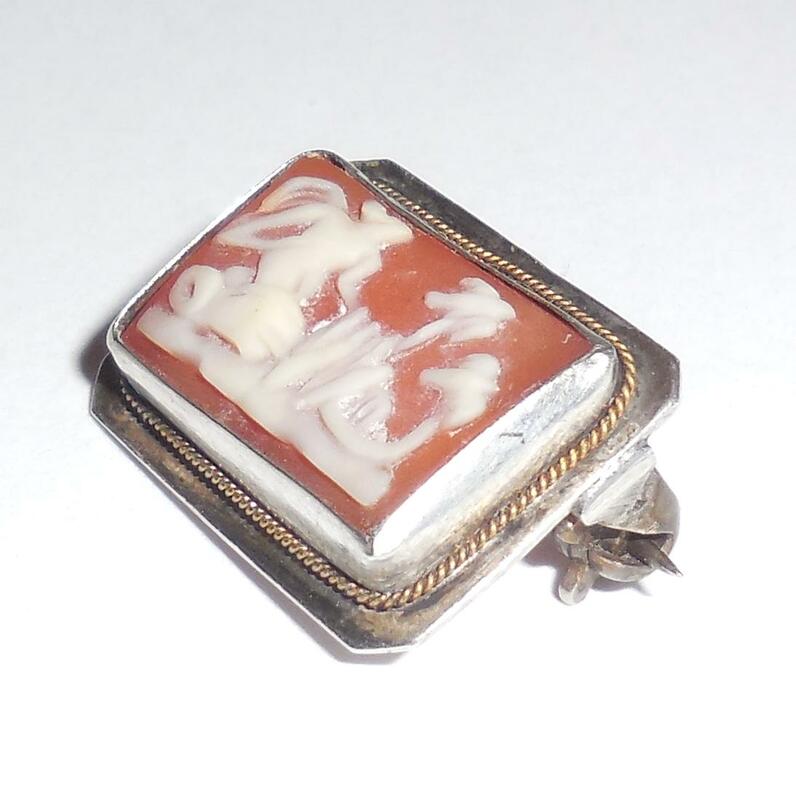 As was common for Victorian c-clasp brooches this pin may have had a locking clasp upgrade in the 1930s. 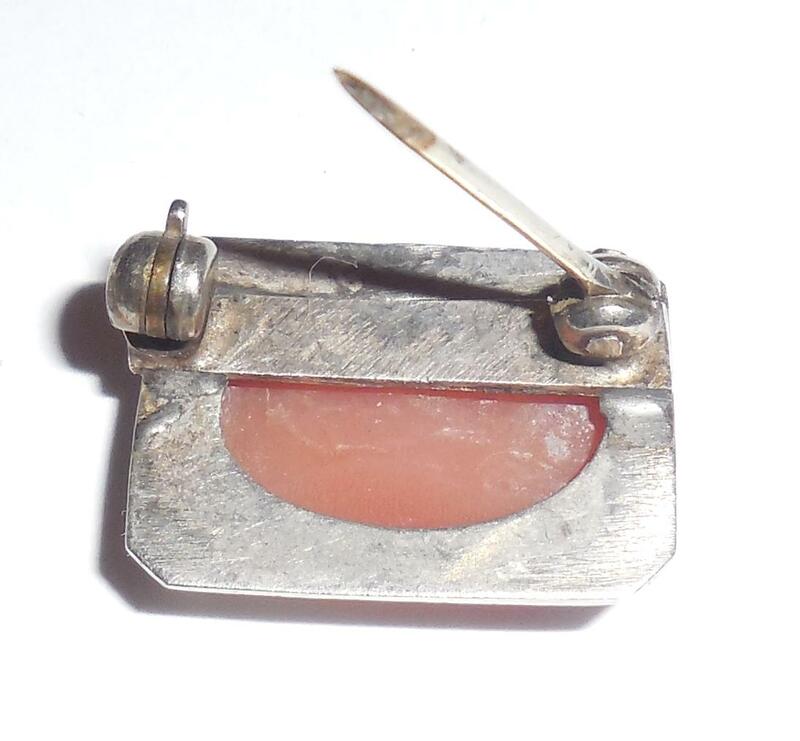 You can see the tiny hand applied old rivets in the back that are holding the clasp to the back of the pin which likely had an early c clasp without a lock. Additionally, it is all handmade, hand carved and hand cut with the gold wrap being separately hand applied, all indicative of its 1890s to 1920 age and goldsmith/silversmith hand crafting. Other than minor edge wear it is in excellent condition. There are No cracks or chips or flakes or breaks to the cameo. No damage or repair. No tears or gauges to the sterling silver. It is highly unusual and very detailed having a desert motif of palm trees, cacti and a Roman god controlling a chariot. 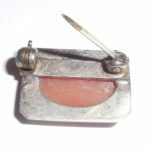 Hence, this is a lovely antique lingerie pin for your antique jewelry or antique clothing accessories collection. This kind of detail is very Hard to find in this very small size, 11/16″ by 1/2″. Nice estate find. Would also look great on an antique doll. It’s just the right size! Early in the 19th century, cameos started to feature an anonymous Roman woman wearing no jewelry. Victorian women on the Grand Tour sought out lava cameos. These were carved with the mystery woman’s image when they were in Italy. These affluent Victorians eventually had a big influence on cameos; this occurred when they demanded a more familiar-looking lady, with a thinner neck, her hair up, and wearing jewelry. 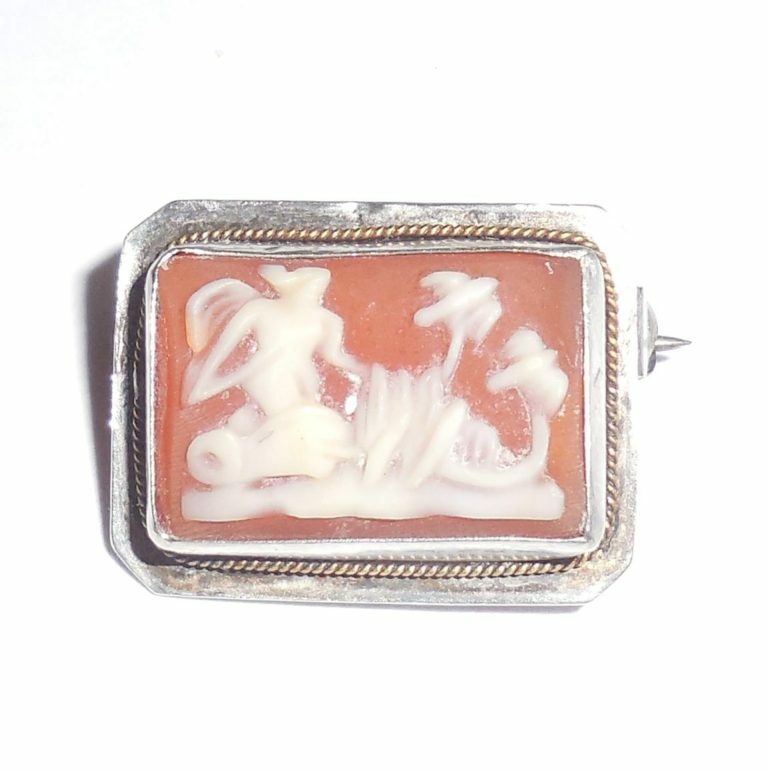 Vintage cameos also incorporated religious figures and scenes, floral motifs, and images from mythology. In particular, ancient Roman motifs have been popular for cameos since they first appeared during the reign of Alexander the Great. They were made of agate, onyx, and sardonyx. 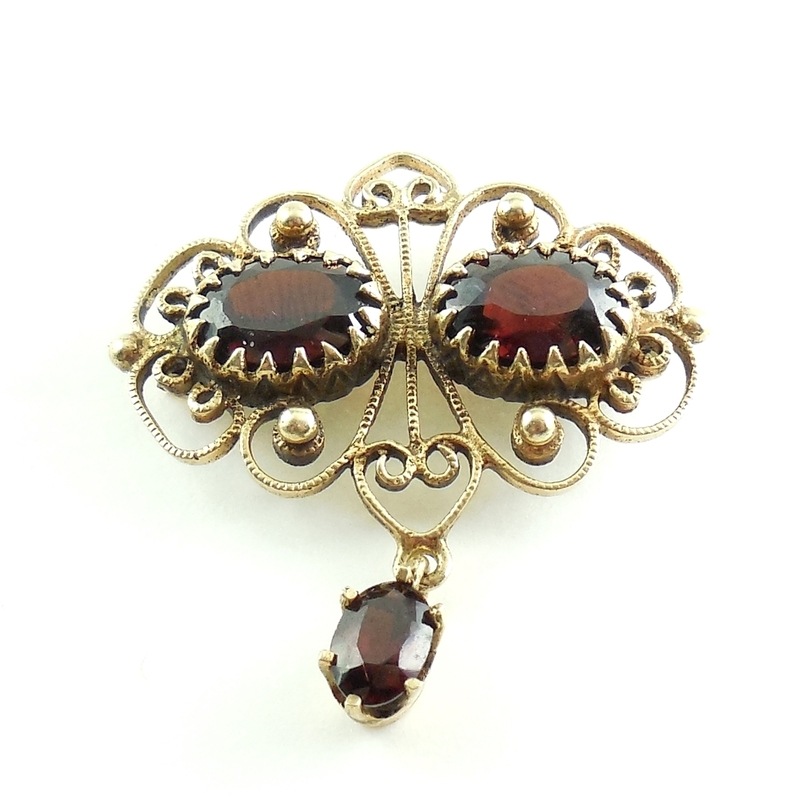 This is a vintage 14K yellow gold dangle pin with 4.75 carats of natural pyrope Bohemian garnets. Marked and guaranteed to be solid 14K yellow gold. All hand made. Each section of gold is hand cast, hand cut and hand applied. The bezel settings are large and full with each having 15 hand cut prongs. There is also small fancy cut work on all of the edges and applied 14K gold balls. The top has 2 large 9mm by 7mm oval faceted garnets and the bottom dangle has a 5mm garnet. They have gorgeous deep, dark red color with good internal fire. Total carat weight is approximately 4.75 carats. Size is almost 1 1/2" tall by 1 1/8" wide across. Weight is 4.6 grams. 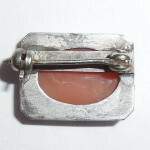 Looks good as a dangle pin Or add a bale so it could also be used as a stunning vintage statement necklace pendant. 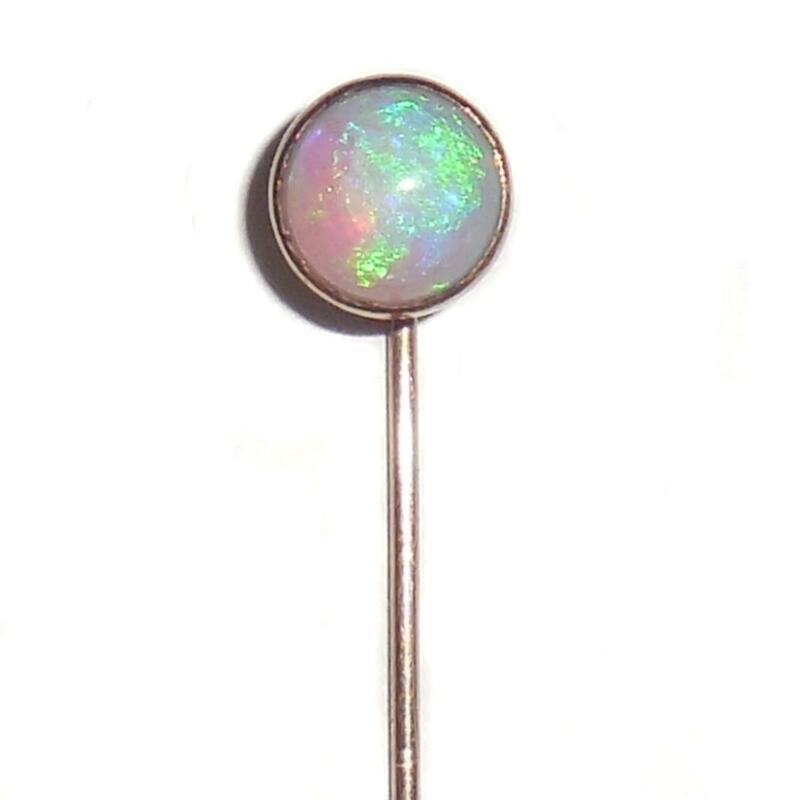 This is a wonderful antique Victorian 1880s era 10K rose gold stickpin with an incredible natural opal in excellent condition. All handmade, goldsmith made. From an estate and beautiful. The opal is 8mm. Size of entire pin is 2 1/16". Please see photos and read full product description for completely information. 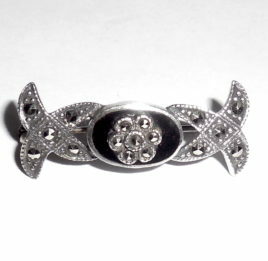 A gorgeous original true Victorian find for your collection!! You can not find such fine quality opals like this today! !